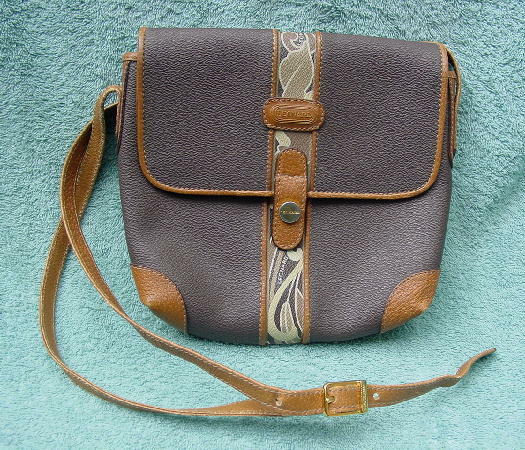 This vintage leather purse was made in Italy by Leonard Paris. The gold-tone metal tag has N.C. 15744 etched below the name. 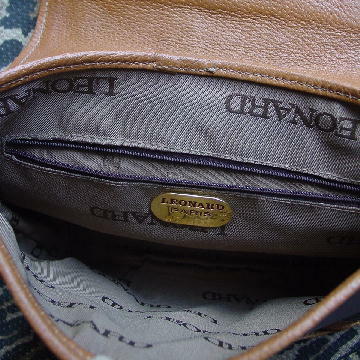 The nice light cocoa color fabric lining has Leonard all over in tone-on-tone letters. 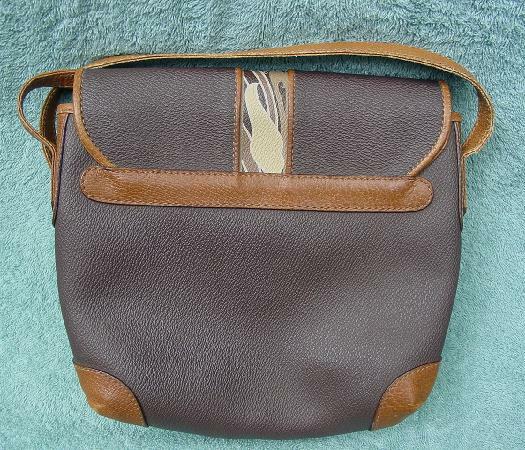 There is an interior zippered pocket. The exterior is in a brownish-taupe color with edging in a camel color and an accent strip in bone, light cocoa, and taupe. The bottom corners have a little bit of color missing. The flap has a magnetic closure. The 48" long by 1/2" wide adjustable shoulder strap has a gold-tone buckle with Leonard etched on the bottom.